A mini update to my earlier post about the lack of Leia in the Disney Store. To recap: Disney have owned Star Wars since 2012. But despite carrying a range of other Star Wars merchandise in the Disney Store, it doesnt sell any (hardly any) Princess Leia gear. I wanted to know why, especially since my young daughter is into Star Wars and her favourite character is Princess Leia. Initial contact with Disney elicited a rather non-committal response, essentially ‘we have no information/plans regarding Princess Leia merchandise’. Last week, the Disney Store UK informed me they had “escalated (my) query to the relevant departments”. Today, I received the latest response. Thank you for taking the time to contact us, and for your patience while this was escalated to me. It is wonderful to hear your youngling is already such a huge Leia fan. It IS wonderful my… hold on, my what? My ‘youngling’? Interesting. It seems that the Disney Corporate Communications manual has been updated with Star Wars buzzwords – a youngling is a child undergoing Jedi training. What’s also interesting is that ‘youngling’ is a gender neutral term. Star Wars is anything but gender neutral in the Disney Store – with it listed prominently in the ‘Boys’ tab, but nowhere to be seen in the ‘Girls’ one. 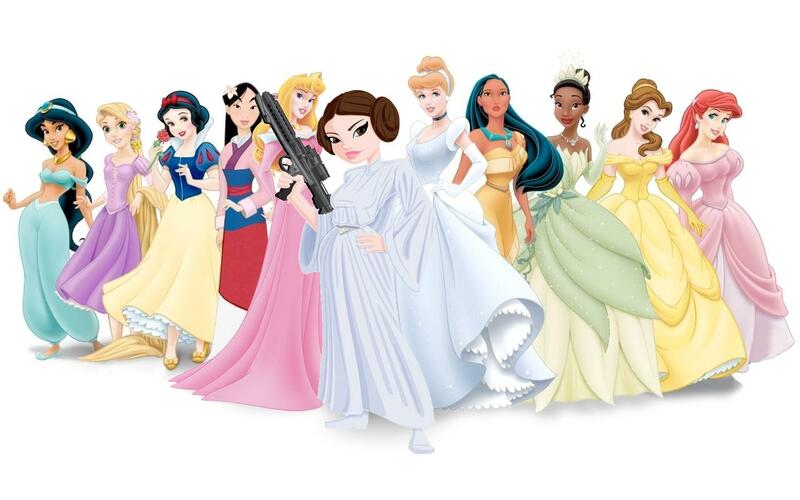 The lack of Princess Leia product appears to be symptomatic of the Disney Store’s embedded gender segregation – Princesses are for girls, sci-fi & superheroes for boys. The current assortment of Star Wars product launched at Disney Store earlier this year is just the beginning of what is to come. Well, that’s promising. So you’re going to sell Leia stuff right? Disney Store designs products with all members of the family in mind, and we are looking forward to supporting the Star Wars Franchise for many years to come. We know Disney “designs products with all members of the family in mind”. That doesn’t indicate whether they will design Star Wars products “with all members of the family in mind”. Also, “we are looking forward to supporting the Star Wars Franchise for many years to come” doesn’t address whether they will add Leia to their Star Wars items on sale. No indication of when – or even if – they’ll get to Leia. Once again, we thank you for taking the time to contact us, and if you have any further queries please do let us know. Thank you too, I will.